A video montage of a performance in Ha­gen, Ger­many, Sum­mer 2006, ac­com­pa­nied by the ex­per­i­men­tal silent movies of Telemach Wiesinger. The official video for the track “Alluvium” from the release “Heart” by the Redundant Rocker a.k.a. Bernhard Wöstheinrich. 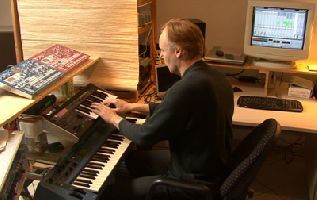 The video was filmed in a very well equipped studio, featuring big modular synthesizer systems as well as some rare vintage gear.